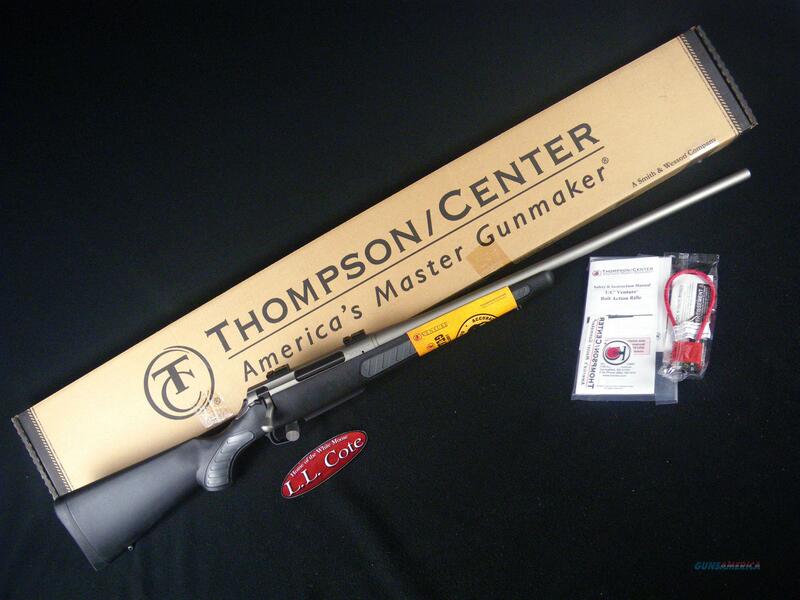 Description: You are bidding on a Thompson Center Venture in 7mm Rem Mag with a 24" barrel. There are many options on the market today for a low priced bolt-action rifle. But the true test of what an inexpensive rifle should be is not just the price. It should be the cost vs. quality and features, this is where the T/C Venture delivers. With its 5R rifled precision barrel, adjustable trigger, Hogue traction panels, Melanite Coated Bolt and Guaranteed MOA Accuracy, there is nothing that can come close to what the T/C Venture offers for the price. The T/C Venture is also USA Made and backs the famous T/C Liftime Warranty and with 16 available calibers there is no problem finding the gun you are looking for. So this year when you go to buy a new bolt action rifle don't sacrifice quality and features, get the T/C Venture. Displayed images are stock photos. Any questions please feel free to ask (our phone number is in the additional information tab above).